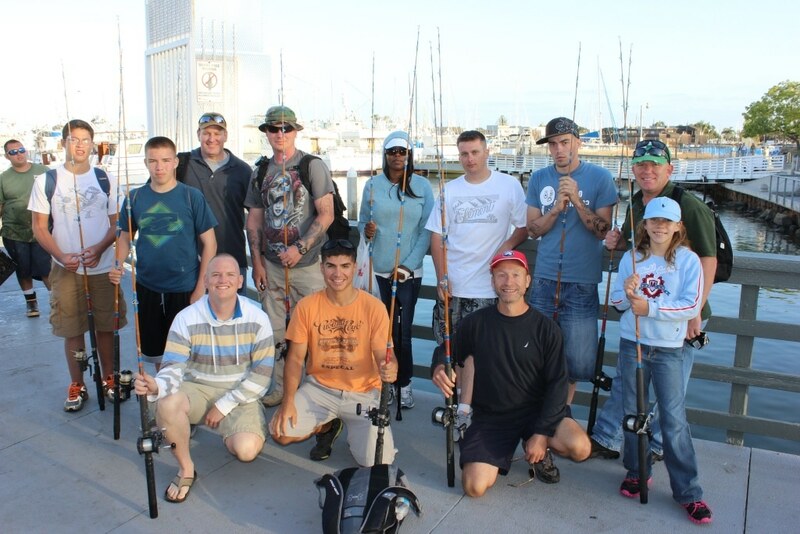 Soldiers from the naval hospital in Balboa Park, San Diego, along with wounded warriors from the 29 Palms Marine Corps Base met Freedom Alliance out in the ocean for an afternoon of fishing. It was a ninety-minute cruise out to the periphery of U.S. waters to fish for Southern California’s most targeted catches. 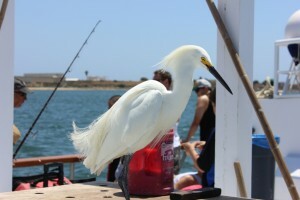 The seasoned crewmates of the Premier briefed our nine guests on techniques, including what kinds of fish to expect. These included rockfish, sea perch, cod, and bass, of which all our guests snagged at least one memorable catch on the end of their lines. One of our anglers even managed to catch three prickly California Sculpins, or scorpion fish, which are venomous—a noteworthy if precarious achievement. 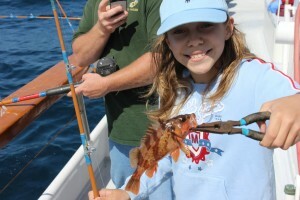 The largest catch belonged to the eight-year-old daughter of a Marine! In between stops, we enjoyed spectacular views and wildlife, including pelicans and other seabirds as well as a school of dolphins. Furthermore, the galley was fully stocked with Polish hot dogs, hot turkey sandwiches, and hamburgers, so no fisherman went hungry. Our nine service members sustained a combination of medical conditions, ranging from traumatic brain injuries to nerve damage. Being on the boat and with one another, the band expressed their love for the water and outdoor sports, such as ocean fishing. And all felt extremely grateful for the opportunity to be hosted by Freedom Alliance. It was indeed a grand and restorative nautical adventure.